Below you will find KCET 2019 Hall Ticket. The admit card is the important official document which the candidates will have to bring in the examination hall. Without this document, the student’s entry will be restricted at the test center. This hall ticket will be issued to those students who have registered them on or before the deadline. It will be available in the online mode and the students need to get updated with the official schedule. The exact date of its release will be intimated soon after any official announcement. • The admit card will be available in the online mode and the downloading is the sole way to obtain the same. • The students should stick to the official schedule as this official document will be available for the short duration of time. • The direct link to obtain this KCET Admit Card 2019 will be available here soon after any official availability. • After logging in, the students need to find the admit card tab. Click on the same and the hall ticket will be appeared on the display screen of the candidates. • Thereafter, the students can download this official document and get it printed on the white sheet. • For the sake of security, the students should keep the soft copy of this document safe and secure. • Soon after obtaining the admit card, the students need to verify all the details printed on the same. If any discrepancy is noticed then the students need to contact the official exam body as soon as possible. • The candidates are advised to keep the KCET Admit Card 2019 in the excellent condition as the mutilated, distorted, defaced, and tainted admit cards will not be accepted by the invigilator. • The students need to make sure that all the details printed on the admit card should be clearly visible. • It should be noted that if the candidate’s identity is in doubt then he will not be permitted to appear in the exam. • Also, the admit card will have to be produced during the final admission round, therefore, retain this document safely. • This document is important from the examination point of view. 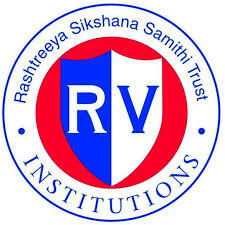 R V College of Engineering Bangalore is a self financed technical institute established by the Rashtriya Shikshana Sanstha Trust (RSST) in 1964. 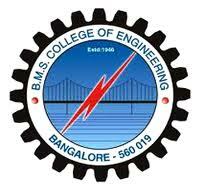 BMS College of Engineering is a technical school that is known for offering excellent education to those students who aspire to become an engineer or aim of achieving higher position in the field of IT. Bangalore Institute of Technology in Bangalore is an educational institute for engineering and information technology that was set up in 1979 by Vokkaligara Sangha. Rashtreeya Vidyalaya College of Engineering is a self financed technical institute, which was established by the Rashtriya Shikshana Sanstha Trust (RSST) in Bangalore. AMC Engineering College is a well-reputed college, offering vast knowledge in Engineering and technical courses.